When I go to my neighborhood farmers’ market, I am not there to make a political statement or revamp the food system. I am there because the foods taste good and I like coming out every Saturday to discover what’s new. 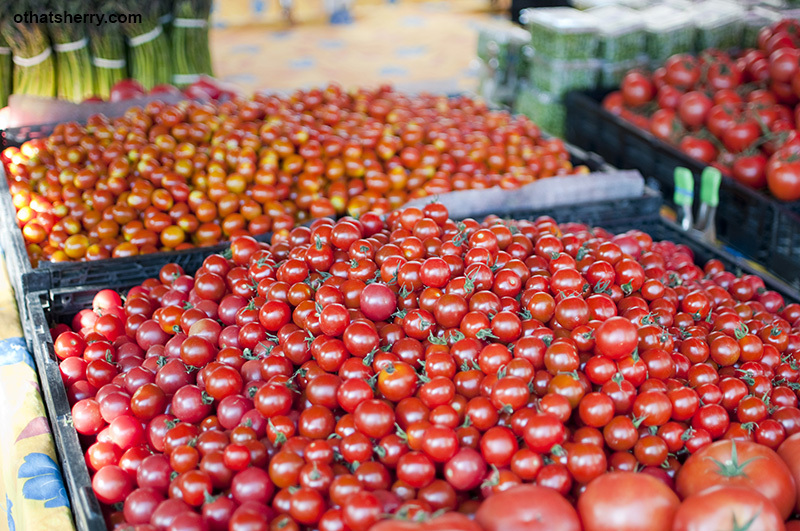 As I routinely come back to my market, I discover a natural rhythm – tender asparagus and strawberries mark the height of spring, while stone fruits like peaches and apricots, announce the arrival of summer. 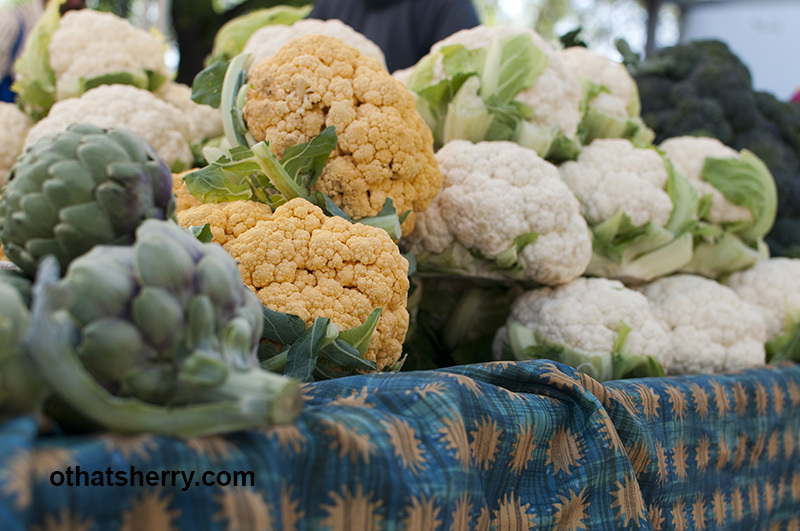 What makes farmers market produce unique? Why buy local? Health Know what farmers do for pest control and protect your body from pesticides and E. coli. Taste Food is sweeter, crispier, and fresher. Reduced travel time allow farmers to harvest fruits and vegetables when they are ripe, resulting in more flavors and higher nutritional values. 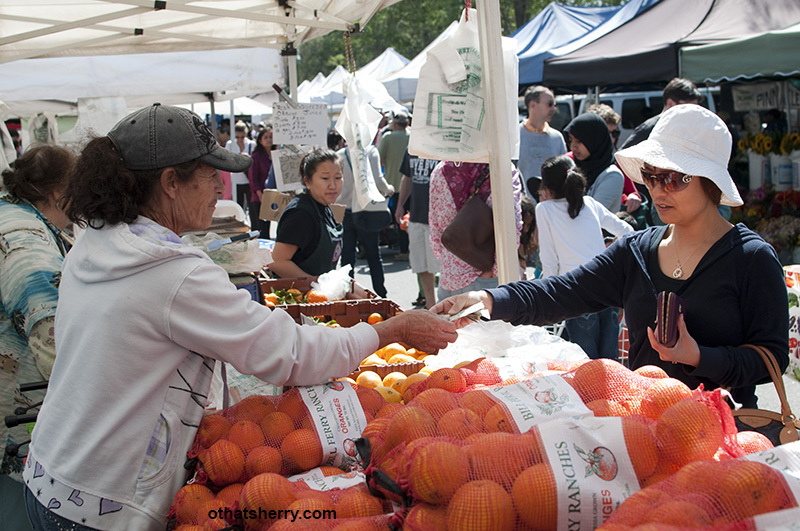 Variety At farmers’ markets, you will find ample heirloom varieties of fruits and vegetables that are not available in large-scale agriculture. Buying heirloom promotes diversity on farms, which means healthier land and reduces use of pesticides. 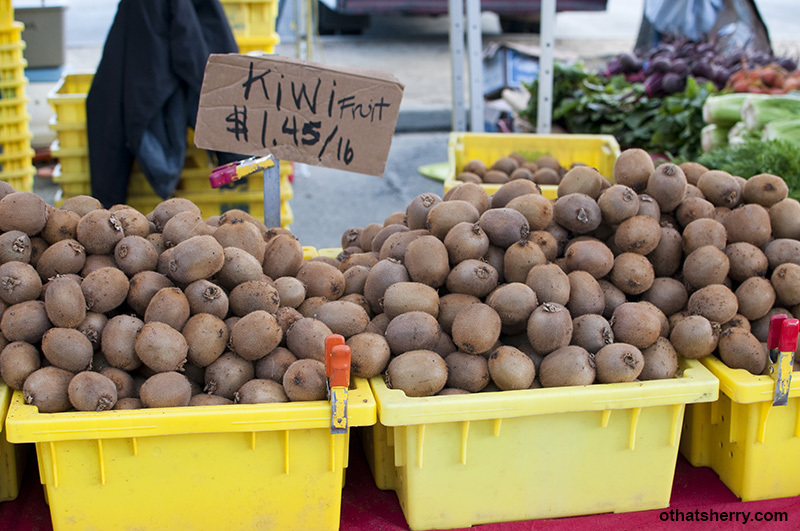 Environment Farmers’ market produce do not necessarily mean organic (although some are), but by choosing to buy from local farmers, you are reducing carbon footprints and supporting biodiversity as well as conservation of soil and water. To read more about organic, visit CCOF website HERE. 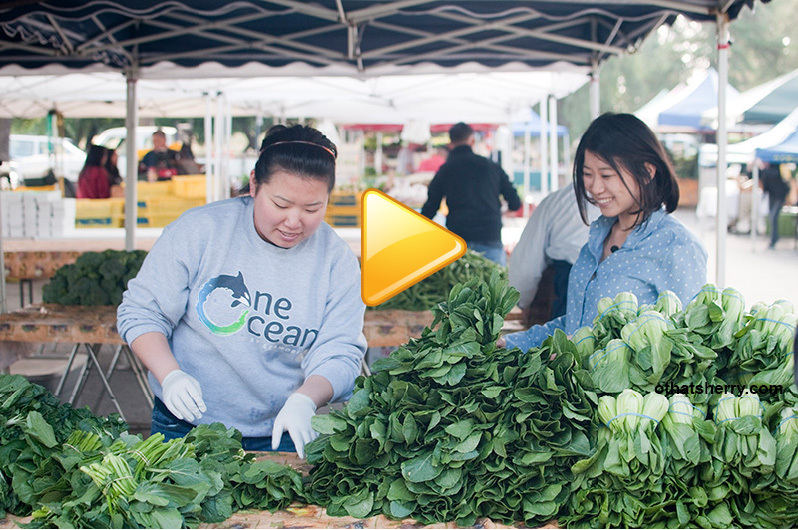 Connection All farmers must grow and sell their own fruits and vegetables directly to consumers in a Certified Farmers Market (certified by the Agricultural Commissioner). Feel free to ask farmers about their farm and produce. Your grocery comes with a story (farmer, market, name). Does a farmers’ market potato really taste that much different from a “just-a-potato-potato”? Not really, but to locavores like myself, I believe that knowing the farmers who sell me my food and eating heirloom varieties as well as what’s available each season, provides a more direct sense of connection to my food. Kauffman, Johnathan. “And You Will Know Us by the Trail of Our German Butterballs".Seattle Weekly 30 June 2009. Thank you, our animator, Karen, did a great job.